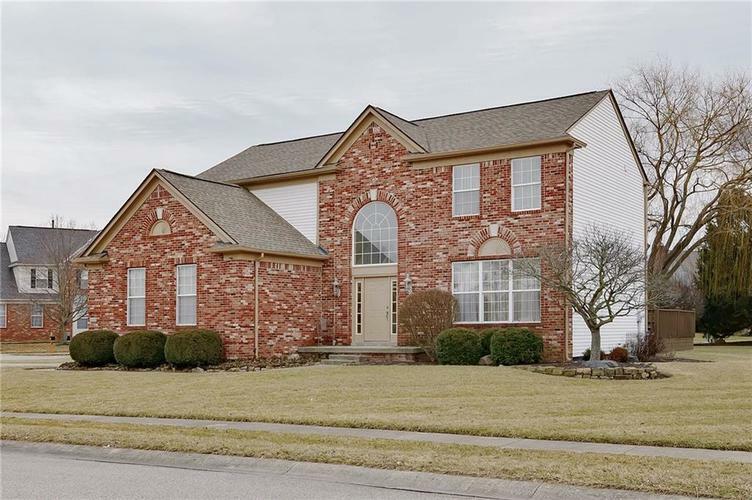 Meticulously Cared for 3390 Sq ft, 4 bdrm, 2.5 bathroom w/basement home for sale in the mature neighborhood of Kensington Farms, prime location in Lawrence close to Old Fort Benjamin that has a ton of future plans for shops & restaurants. This home has a lot of high end finishes, Custom 42' cabinets with soft close doors/drawers plus pots & pans drawers, custom tile back splash/granite counter tops, stainless steel appliances, crown molding & decorative trim. Master bedroom has vaulted ceiling, garden tub - walk-in shower, double sinks w/make-up counter, 2nd floor laundry rm, custom woodwork through-out, large corner lot with mature trees, privacy & large deck, professionally landscaped, won't last long see it today! Directions:From 63rd & Sunnyside go west to Kensington Farms entrance - Tennison Way, go to 'T' and turn left. 1 block to Vancouver Ct. to home on corner.